Another sub-4000 word week but the streak continues. 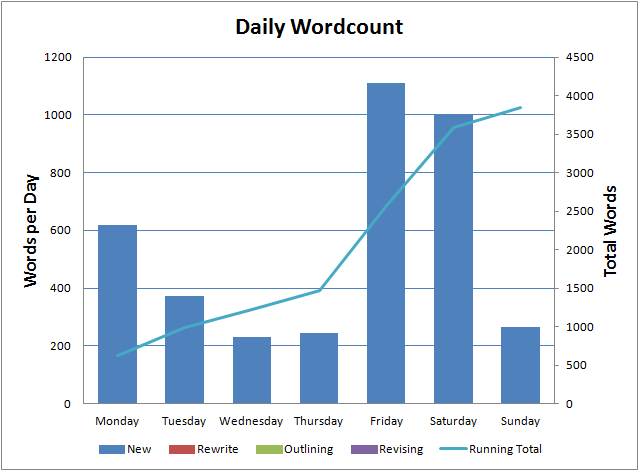 Another week, another 3,845 words added to Glitch Mitchell and the Unseen Planet. Things are looking pretty bleak for our heroes. I’m currently on Chapter 24 of what was originally intended to be a 26 chapter story but at this point it looks more like there will be 30-32 chapters. That said, I think I’m going to go back and cut at least one of the earlier chapters. I didn’t like it when I wrote it and I’ve written the most recent chapters in such a way that the earlier one isn’t required any more.